Need a way to keep your toddler busy this Holiday Season? 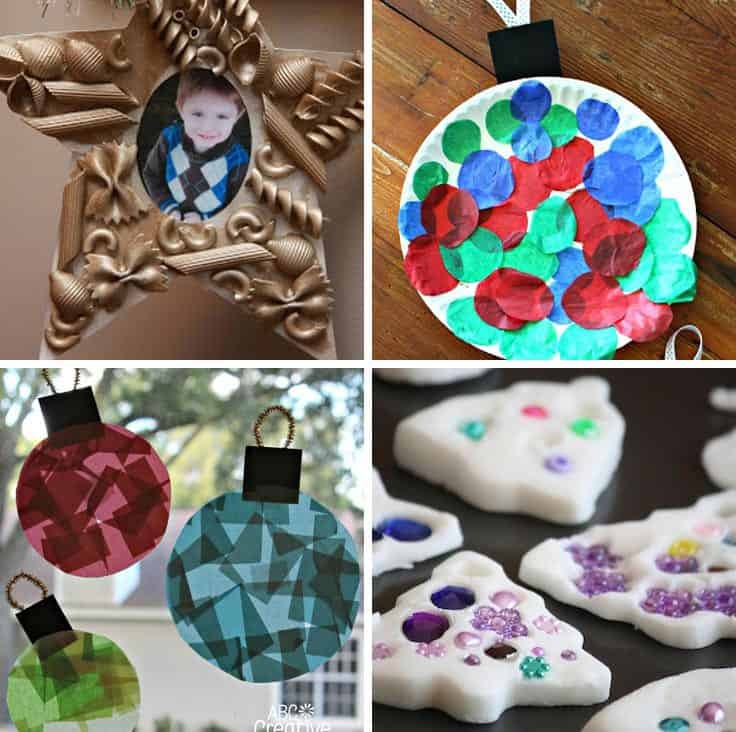 They’ll love making these easy Christmas ornaments and seeing them hang on the tree! Crafts are a great way for your toddler to learn so many skills, from creativity to fine motor. And Christmas is a great time to get crafty because anything your toddler makes can be given as a gift to Daddy or Grandma. Christmas ornaments are especially good because you can hang them on the tree for years to come. Today I’ve rounded up 12 easy Christmas ornaments that your toddler can make, with a little help from you. They’ll love making these decorations and seeing them hang on the tree! Christmas Ornament Craft Grandma is going to love this as an ornament to hang on her own tree! Paper Plate Christmas Ornament Craft for Kids Here’s an ornament craft that is perfect for even the youngest of toddlers! Glass Stained Window Ornaments Kids Craft How beautiful will these baubles look in the window with the winter sun shining through? Clay Dough Ornaments – These are so simple to make but look absolutely beautiful and sparkly ready for hanging on the tree! Old Fashioned Salt Dough Candy Cane Ornaments – This ornament craft is perfect for older toddlers and preschoolers who’ve mastered the art of twisting two things together. 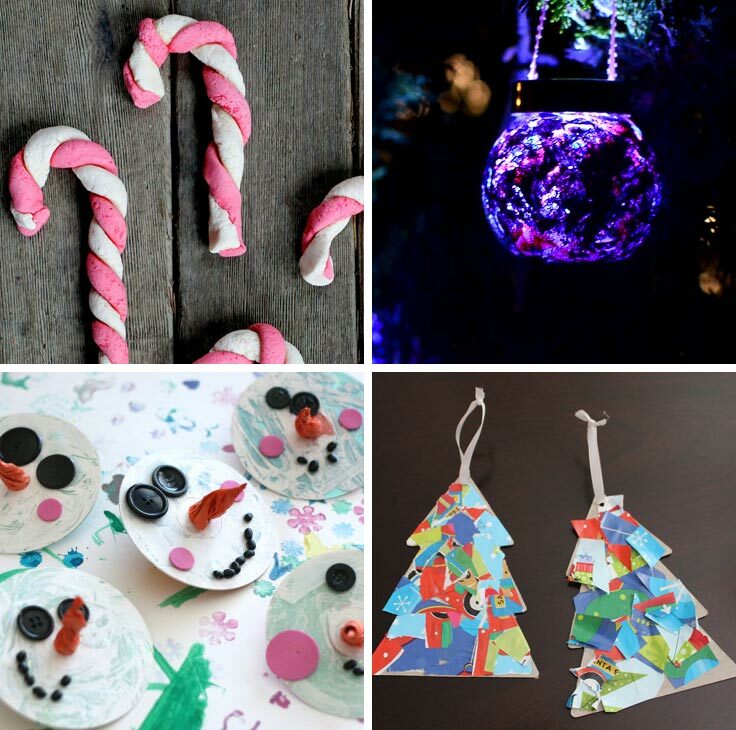 Kid-Made Luminescent Christmas Ornaments – These are fabulous, and your toddler will love painting the jars. Just make sure you dress them for the job or you might end up with a painted baby! CD Snowman Ornaments for Toddlers – You know that box of blank CDs you found in the back of the cupboard that you have no idea what to do with now we all have iPods and iPhones? Well you can turn them into Snowmen Ornaments! Rippin and Snippin Chipboard Ornament – Oh these look like a lot of fun to make and are perfect for kiddos who need extra sensory input and like tearing paper! Paper Plate Angels – Do you remember making paper plate angels when you were a kid? They’re so simple to do but they look great. Bead and Pipe cleaner Icicle Ornaments – This craft is better suited for older toddlers, because they need to have gotten past the ‘putting tiny things in their mouths’ stage, because the beads are pretty tiny! The metallic pipe cleaners make them so beautiful and they will look great hanging from the tree. 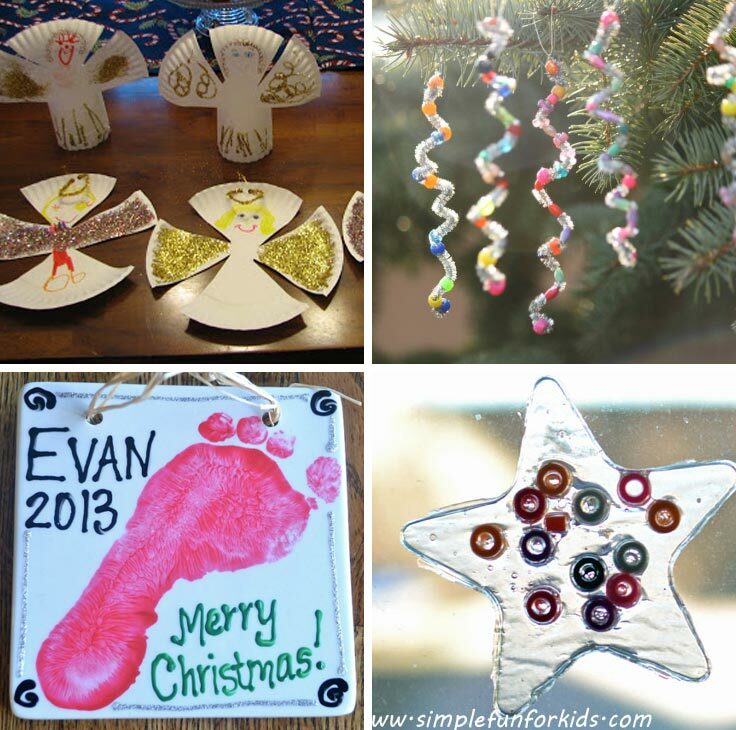 Footprint Ornament – You know I’m crazy for footprint crafts right? Well how precious is this one? You’d better make extras because the grandparents are sure to love these as gifts this Christmas. Glue Star Suncatchers – Wow how beautiful are these star shaped suncatchers to brighten up your windows. You’d never guess they were made from glue! Next PostNext 10 Super Sweet Salt Dough Kid’s Handprint Christmas Crafts to Treasure Forever!